Our puppies has been born (Kaden x Switch). All puppies are spoken for. Tollarspecialen, Sweden - Switch BIS PUPPY II, Trin III exc. 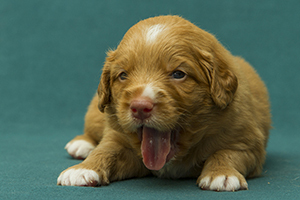 Nova Scotia Duck Tolling Retriever is for us the quintessence of healthy, active dog and a great canine companion of our everyday life with great working abilities that are clearly visible in dog sports as well as in hunting. 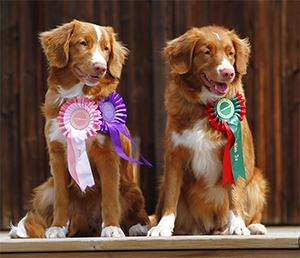 Our goal is to breed puppies that are successful not only at the dog shows, but also in various competitions, sport events and field trials. 20.03. 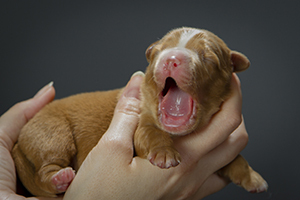 2019 "NORDIC" litter has been born. 31.05.2018 "SPECIAL" litter has been born. 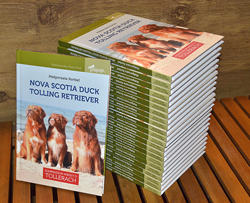 Our Polish book about Tollers has been already published!